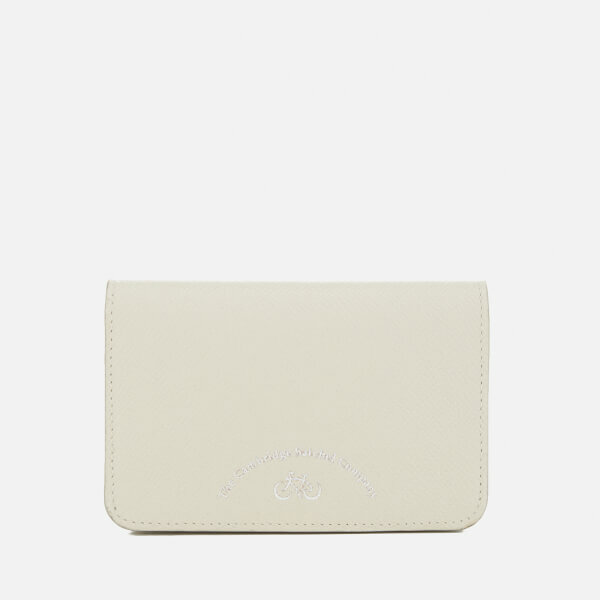 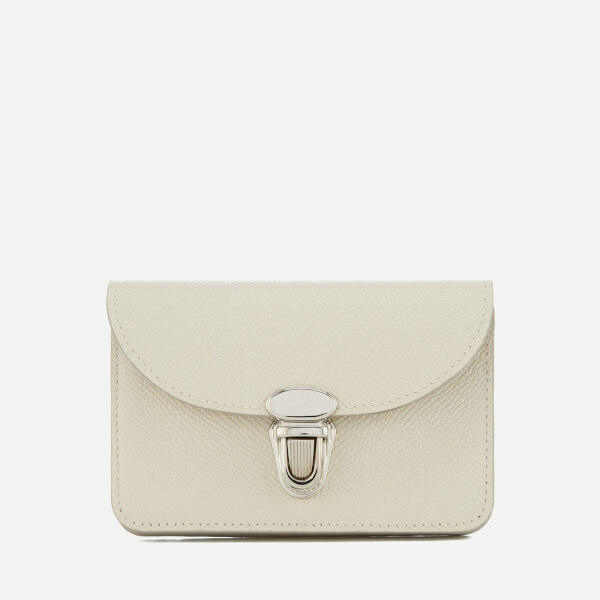 Women’s small cream purse from The Cambridge Satchel Company. 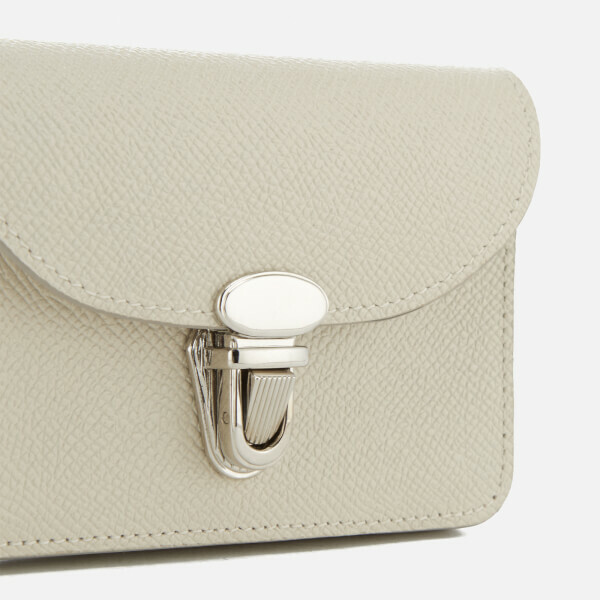 Crafted from textured, saffiano leather, the purse comprises a fold over front with a silver tone, push lock clasp. 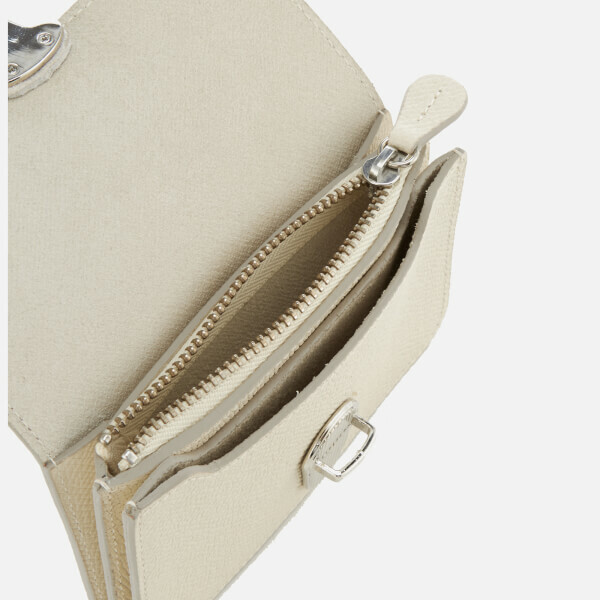 It opens to reveal an organised interior with a trio of compartments; a central zip pocket for coins and two slip sections for cards and notes. 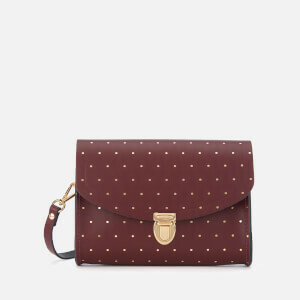 The purse is complete with tonal stitching and the signature The Cambridge Satchel Company logo printed to the reverse.